One of the reasons I love knitting over crochet is the amazing texture that knit stitches have. When using a super chunky yarn, the texture is amplified! That is why I love our Super Tuff Puff yarn. At an astonishing one and a half stitches per inch, project knit up in no time at all. 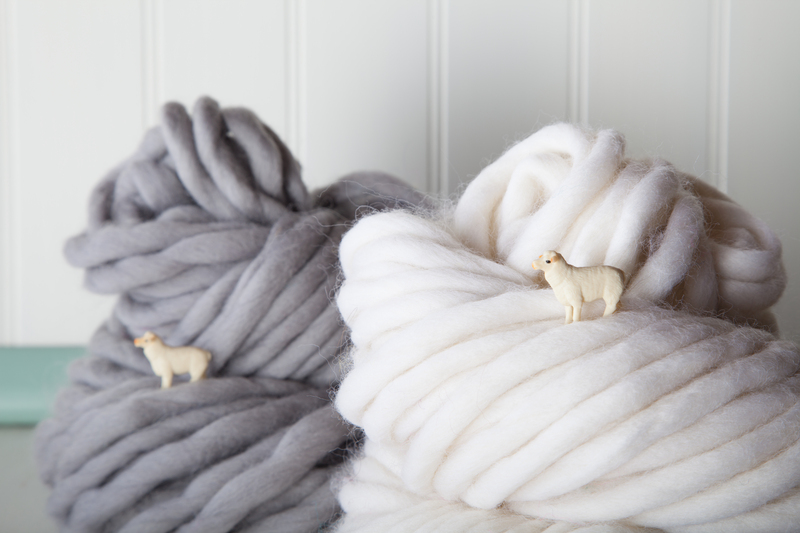 The 100% wool in a single ply with a slight twist, this yarn is perfect for making amazingly chunky home decor and accessories. My favorite chunky yarn “hack” is knitting smaller patterns in chunky yarn for a super sized project! I recently knitted our Mini Kitty Poufs in Super Tuff Puff and am in LOVE with the results. This large kitty is so cuddly and the Super Tuff Puff makes it so soft! Super Tuff Puff is also perfect for making poufs, baskets and other home decor items. They knit up so fast and are sturdy enough to use as functional storage. The fun, bright color palette will add some punch to your home decor too! With our Summer Yarn Sale, you can save 30% on this fun yarn. Stock up on your favorite colors and explore some fun chunky knit projects!